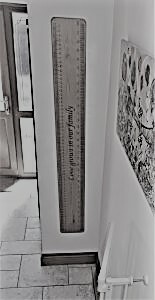 Hanging at the bottom of our stairs is an over-sized, wooden ruler. “Love grows in our family” is written across the front of it. Caring for children is challenging. Testing toddlers, night time wake ups and relentless chores can make it easy to become grumpy and annoyed. Sometimes simply maintaining love can feel like a struggle. At worst, love can feel like it is diminishing. Yet our love toward one another ought to be increasing. How can we ensure love is growing in our families? I believe the answer can be found in God’s word. So I am searching the Bible and seeking God’s guidance to find out what I can do to love my husband and children more. Spoons and Crayons is my way of sharing this journey in the hope it will bless and encourage others in a similar situation. Love is more than a feeling. Real love is expressed in actions. Consequently, with each blog post I try to include a practical way that we can provide for our families – e.g. with a recipe or craft idea. We sustain our family with what we put on the end of their spoons. We nurture the minds of our little ones when we direct their crayons. 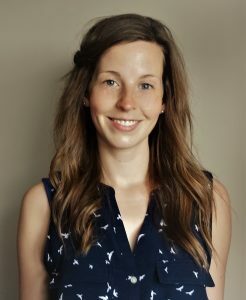 My name is Rebecca and I am the author of this blog. Welcome! May the Lord make your love for one another and for all people grow and overflow (1 Thessalonians 3:12).